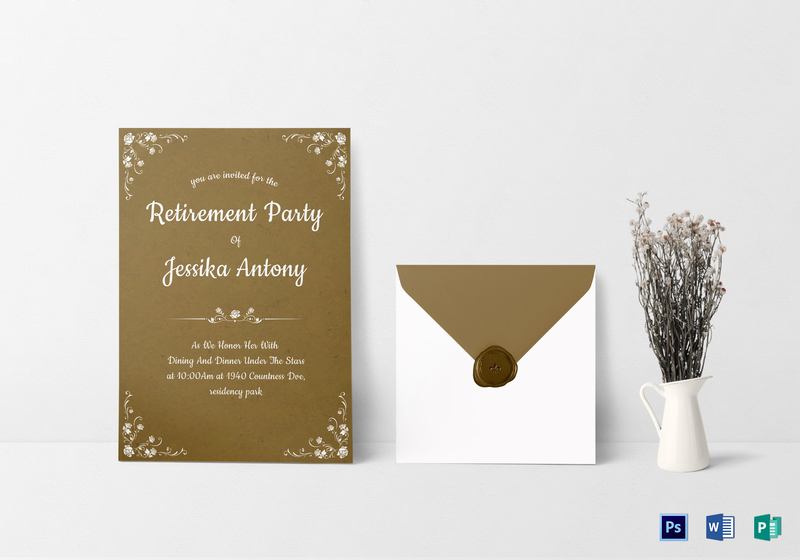 Say goodbye to a great teacher with this lovely cream-on-brown retirement party invitation. Available for download in high-quality files in different formats, such as Microsoft Word, Adobe Photoshop, and Microsoft Publisher. 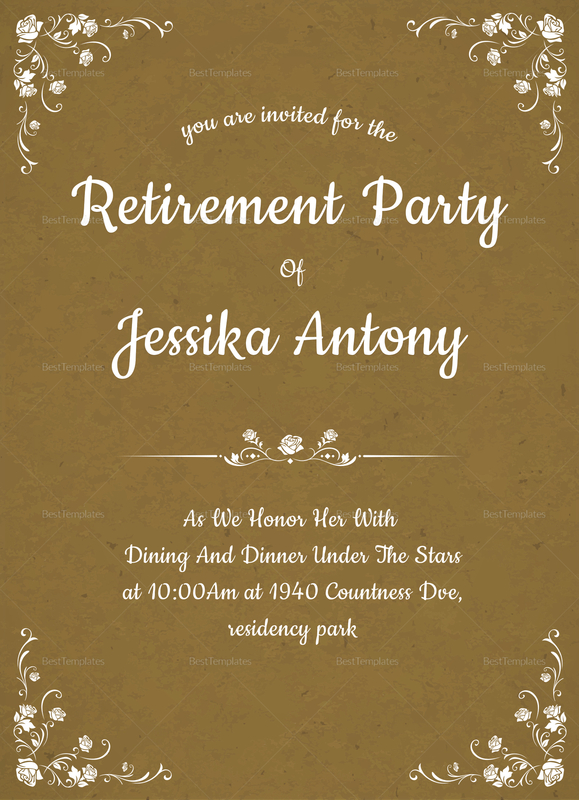 Fully customizable and editable, you can share this invitation by mail or digitally via email, as you see fit.